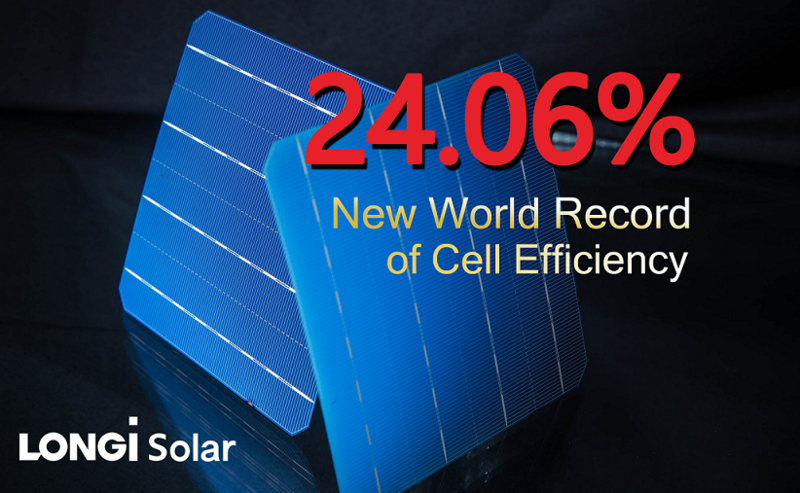 LONGi Solar set a new world cell efficiency record for monocrystalline bifacial PERC with 24.06% on the front side. 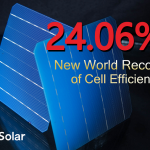 Certified by CPVT, this marks the first time the efficiency of commercial-size PERC cells exceeded 24%, breaking the previous theoretical efficiency limit. With the new record, LONGi has realized leading position in the production scale of PERC technology and proved once again the potential of mono PERC technology.